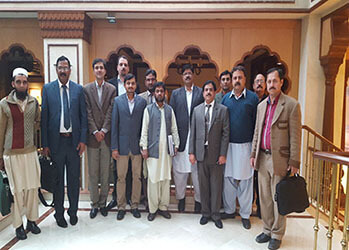 This project began in 2009 as a result of meetings between officials from Pakistan and the United States to set development goals and priorities. One area identified for work during these meetings was developing sanitary and phytosanitary regulatory capacity. This was carried forward by USDA, and in 2011, work on this project began in earnest. 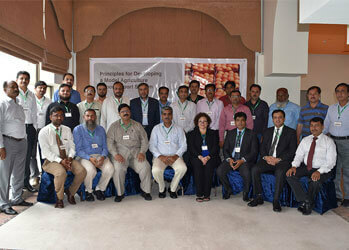 Over the course of 2011 and 2012, workshops were held in Islamabad with key Pakistani stakeholders to develop and design the curriculum and modules topics. The USDA is the lead U.S. agency on this project with both the Foreign Agriculture Service (FAS) and the Animal and Plant Health Inspection Service (APHIS) making significant financial and technical contributions. 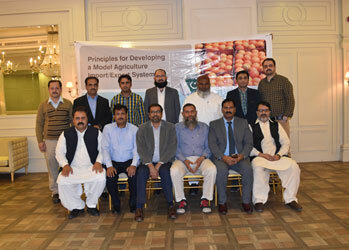 USDA is partnering with Texas A&M University to design the curriculum and produce the self-paced learning modules that are a key component of this course. 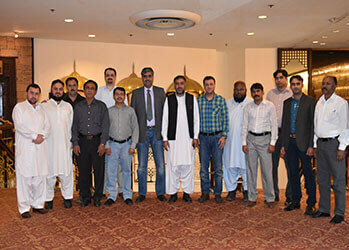 CABI is the implementing partner in Pakistan. 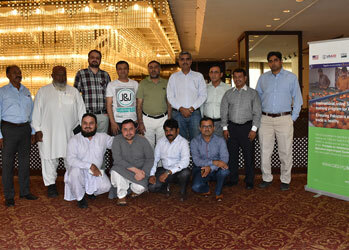 With specialized expertise in plant protection and technology utilization, as well as over 50 years’ experience working in Pakistan, CABI is a critical part of the project team. 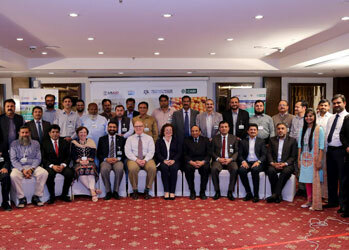 The USDA is the lead U.S. agency on this project with both the Foreign Agriculture Service (FAS) and the Animal and Plant Health Inspection Service (APHIS) making significant financial and technical contributions. USDA is partnering with Texas A&M University to design the curriculum and produce the self-paced learning modules that are a key component of this course. 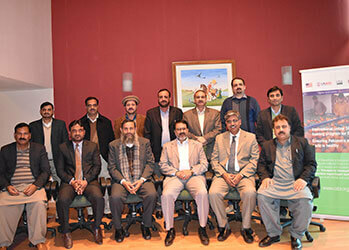 CABI is the implementing partner in Pakistan. 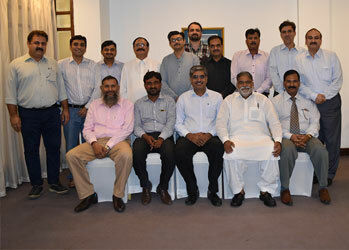 With specialized expertise in plant protection and technology utilization, as well as over 50 years’ experience working in Pakistan, CABI is a critical part of the project team. The United States Department of Agriculture (USDA), also known as the Agriculture Department, is the U.S. federal executive department responsible for developing and executing U.S Federal Government policy on farming, agriculture, forestry, and food. Veterinary Medicine & Biomedical Sciences. Texas A&M University (A&M or TAMU) is a coeducational public research University located in College Station, Texas, United States. It is the flagship institution of the Texas A&M University System, the seventh-largest University in the United States and the largest University in Texas, A&M's designation. CABI is a not-for-profit international organization that improves people’s lives by providing information and applying scientific expertise to solve problems in Agriculture and the environment. Our mission and direction is influenced by our member countries. © 2019 CABI Central and West Asia. All Rights Reserved.